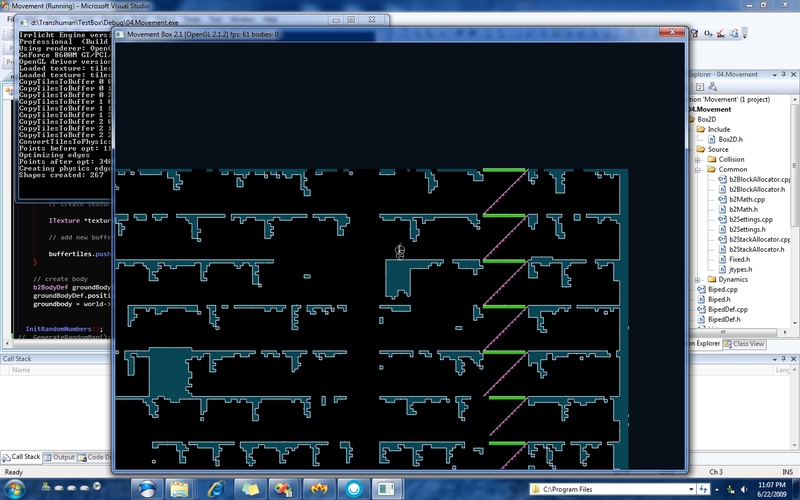 Here is a sample of a randomly generated destroyed tower map for Link-Dead. We’ll see if I can come up with something more. Wow, it’s looking really okay, considering how fast you did it. I still think it’s pretty unnecessary right now, but if you’re doing it, heck, i’m anxious to see the results. Good luck! You know, this is interesting that Link-Dead will have tower maps. When it was announced that Soldat would get animated scenery, I was so excited, I began thinking up possible mods that could take advantage of the animation. I came up with one idea which would be like a sub-mod, where the idea is stealth, no rockets and sneaking down dark corridors of a tall building. The spy, thief or whoever who could make it to the roof first or kill everyone else, won. The corridors would have dark areas and tricky areas would have lights that would flicker or turn on then blink out for a while. Unfortunately, my dumb brain realized that the gif animations wouldn’t be synced, so that idea was out the window. None the less, I think with enough ingenuity, a similar mod is definitely possible in Soldat. The maps would be just like your map generator. Stairs would be at the end of each corridor, and there would be openings to fall down to floors below. So, first of all awesome! That screen looks great. Second of all, I think that this is a cool idea and I can already imagine the possible game play coming from this. Good job. Oh and hopefully you release the tower generator someday. I want to play with it now. but, is it really necessary? was thinking about your whole map generator again! first for me it was a waste of time! but now i can see the whole propose of it! I was thinking today, this idea doesn’t seem so bad after all, in fact, my thoughts have been completely inverted since your last post on it. Don’t forget to add multi-story rooms, like theatres in sim-tower. Can’t tell you what I’m thinking as long as it’s not decorated with delicious tiles yet ._. wow it looks so crappy… any textures? 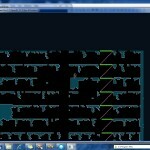 Planning to me a jill in the jungle/prince of persia pre pre alpha? Just noticed you use Box2D from the code there. Thought you did your own physics. Good luck with your game!